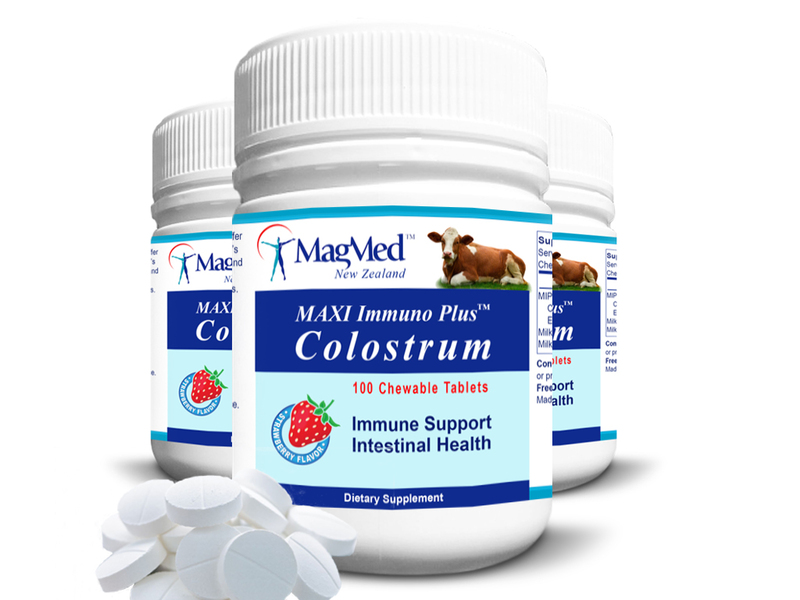 Maxi Immuno Plus™ Colostrum Chewables are a deliciously easy way to provide the goodness of nature’s first super-food. Suitable for both, adults and children age 5+. 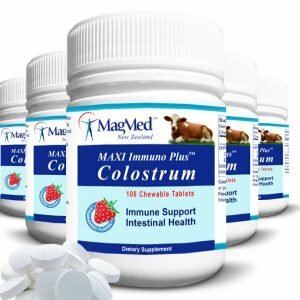 Ingredients: 100 Chewables per bottle, each containing 550 mg of pure and undiluted MIP Colostrum Powder, 240mg milk powder and 85 mg milk calcium powder – light Strawberry flavour. NO ADDED wheat, gluten, corn, yeast, artificial flavours, colours or preservatives. 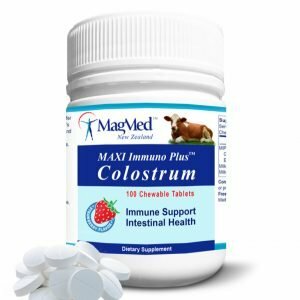 It is free of rBST and free of GMO (genetically modified organisms). After Sport: take an additional chewable right after exercise or training to enhance recovery.